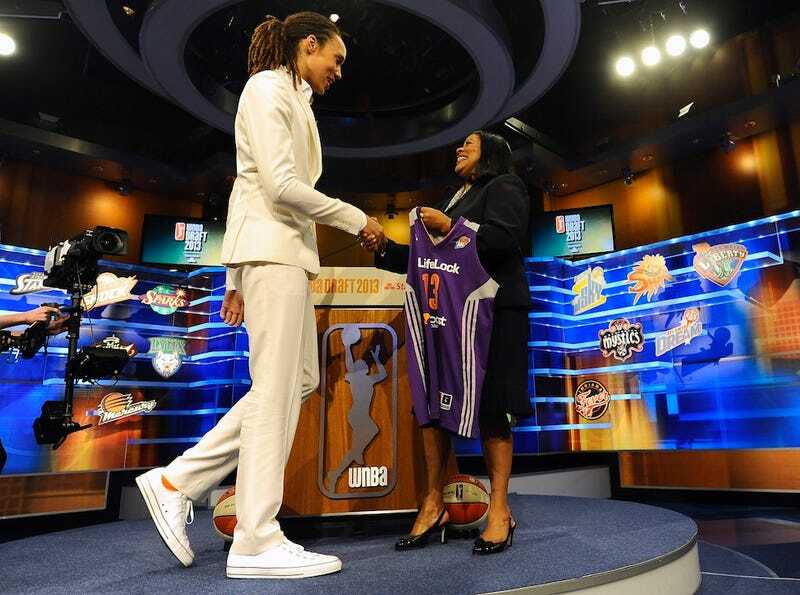 It's been two days since Brittney Griner was unsurprisingly picked No. 1 overall in the WNBA draft by the Phoenix Mercury. As far as anyone can tell, Griner has not publicly mentioned her sexuality before. Now, in the most subtle of ways, the former Baylor star just did. "I really couldn't give an answer on why that's so different. Being one that's out, it's just being who you are. Again, like I said, just be who you are. Don't worry about what other people are going to say, because they're always going to say something, but, if you're just true to yourself, let that shine through. Don't hide who you really are." "It really wasn't too difficult, I wouldn't say I was hiding or anything like that. I've always been open about who I am and my sexuality. So, it wasn't hard at all. If I can show that I'm out and I'm fine and everything's OK, then hopefully the younger generation will definitely feel the same way." You can watch the entire interview over on SI's site by clicking here.